At most companies, CAE is performed as an isolated activity within a single functional team or engineering discipline. The performance, safety, and reliability of their products, however, is greatly influenced by the interactions between these disciplines. Multiphysics FEA can account for some of these interactions, but often the mathematical basis for disciplines are fundamentally different. 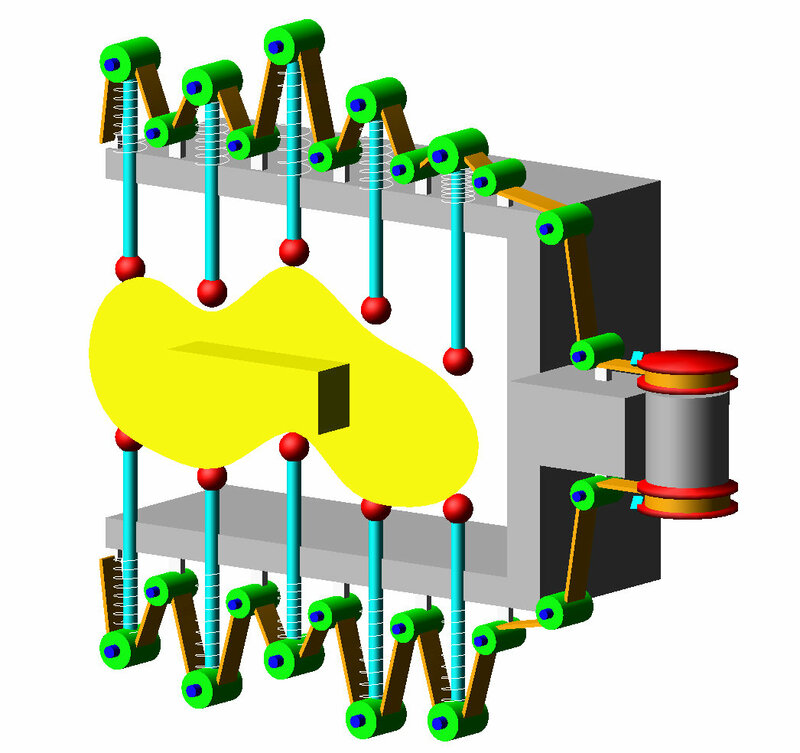 Multibody dynamics, FEA, and controls systems models, for example, do not share the same numerical foundation, making it difficult to evaluate products from a true system level perspective. Multidiscipline CAE enables applications from nearly any mathematical regime to share data that enables system level modeling and analysis. 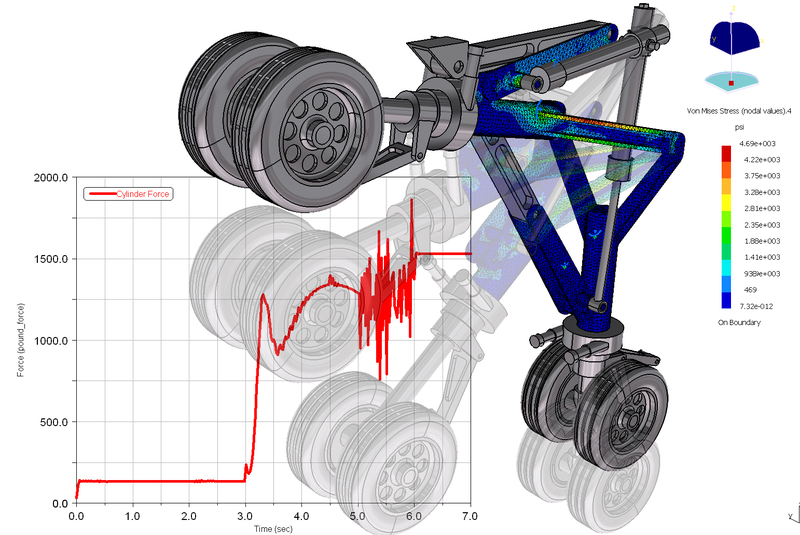 Multidisciplinary analysis makes it possible to integrate FEA, controls, multibody dynamics, finite difference, closed form equations, and more, to enable co-simulation across the boundaries of engineering disciplines. 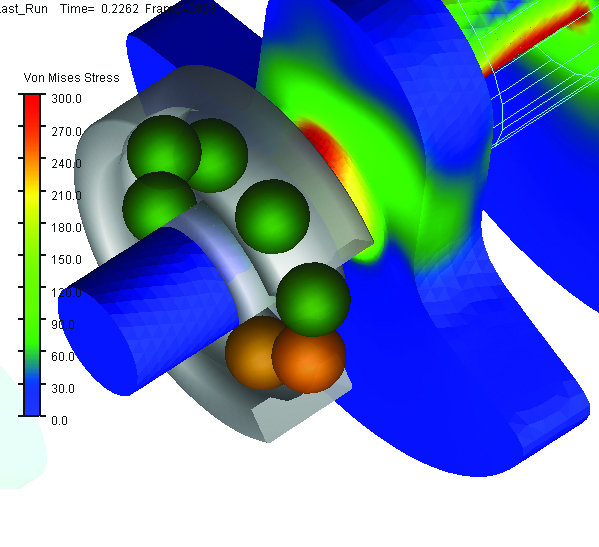 Multidiscipline solutions offer interactive analysis for coupled engineering physics such as motion-structures, thermal mechanical, systems and controls, multi-physics, fluid-structure interaction (FSI), composites failure chaining, and more. Our robust solver foundation allows engineers to solve the most complex engineering challenges. Design of Experiments (DOE) can also assist in enabling co-simulation across multiple engineering disciplines. DOE helps get the design right the first time. Read more about it here. Depending on the type of analysis, engineers can use MSC solutions in two ways – Direct Coupling (applying multiple physics to the model simultaneously) or Chaining (passing load case results from one analysis to the next). Aerospace & Defense: Aircraft engines, wings, radomes, landing gear, helicopter fuselage, helicopter rotor blades. Automotive: Brake systems, engines, body panels, control systems, suspensions. Consumer Products: Sporting goods, packaging, heat sinks for electronic systems, bicycle frames. Multibody Dynamics (MBD) analysis provides an efficient solution by enabling designers to predict the kinematic (displacements, velocities and accelerations) and dynamic (forces and moments) behavior of mechanical assemblies. Finite Element Analysis (FEA), on the other hand, can include linear and nonlinear material characteristics of individual components in an assembly, and therefore provides detailed insight into component behavior, including prediction of stress and potential failure. An integrated MBD/Structures solution from MSC Software offers the best of both worlds: a simple, robust motion model with selected flexible finite element components. 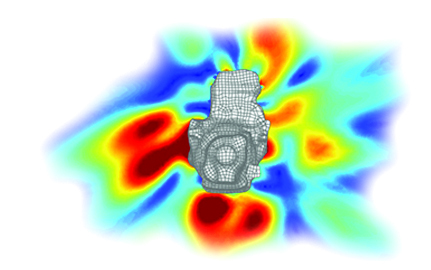 Our MBD/Structures solution is built from two of MSC’s core solvers, Adams and MSC Nastran. By integrating these two technologies within a common user environment, MSC Software delivers unparalleled efficiency and accuracy for the multidisciplinary solution of motion-structures problems. When designing a mechanical system such as an automobile suspension, an aircraft landing gear or a fork-lift, it is critical to understand how various components (pneumatics, hydraulics, electronics, and so on) interact as well as forces generated during operation. Unfortunately, even today, a lot of time and effort is spent on testing physical prototypes without virtually exploring numerous designs to optimize full-system performance. Adams/Mechatronics can be used to directly incorporate control systems into mechanical models by dynamically linking an external system library from a controls application, such as EASY5 and MATLAB, into Adams. It makes the process of performing complete system level investigations like complex vehicle-controller interaction more straightforward. Control system parameters can be quickly adjusted for evaluation and included in a design study for simultaneous optimization of both control system and mechanical system. Understanding the impact of thermal changes and structural responses is important to ensure quality and reliable long term operation for many products. Depending on the size of thermal changes and the materials involved, temperature changes can lead to warping with many unwanted consequences. For example, friction as applied in brake systems creates heat in some areas of the disc structure and these temperature changes may lead to warping which may then be the cause of unwanted noise. MSC’s thermal/mechanical multidiscipline solutions give engineers the ability to simulate the interaction and effects of structural mechanics and thermal conditions, within a single software product. The objective of modeling fluids in a structural analysis is to account for the influence of fluid pressures on the structure and for improved accuracy in structural response prediction. Structures are generally modeled using Lagrangian scheme where material is tied to a finite element mesh. On the other hand, fluids are solved with Eulerian scheme with material being independent of the mesh, but instead flowing through the mesh. Dual schemes are required because of the way structures and fluids behave.